Hackaday-Branded Huzzah ESP8266 Development Board @hackaday « Adafruit Industries – Makers, hackers, artists, designers and engineers! Hackaday-Branded Huzzah ESP8266 Development Board – Hackaday Store. Add Internet to your next project with an adorable, bite-sized WiFi microcontroller, at a price you like! The ESP8266 processor from Espressif is an 80 MHz microcontroller with a full WiFi front-end (both as client and access point) and TCP/IP stack with DNS support as well. While this chip has been very popular, its also been relatively difficult to use. Most of the low cost modules are not breadboard friendly, don’t have an onboard 500mA 3.3V regulator or level shifting, and aren’t CE or FCC emitter certified….UNTIL NOW! The HUZZAH ESP8266 breakout designed by Adafruit and Hackaday-Branded Black for maximum coolness makes working with this chip super easy and a lot of fun. 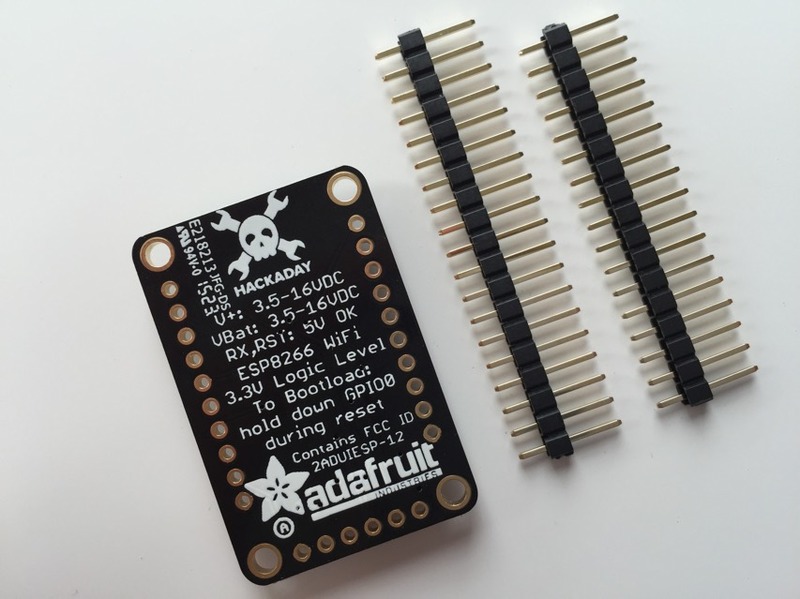 The Adafruit gang took a certified module with an onboard antenna, and plenty of pins, and soldered it onto breakout PCBs.